Check it out West Siders (and beyond). This Thursday, November 18 is the monthly Venice Art Crawl. If you have yet to venture through the eccentric artist community of Venice Beach, I highly recommend you take your usual “art walk” experience the other direction and hit up Venice. 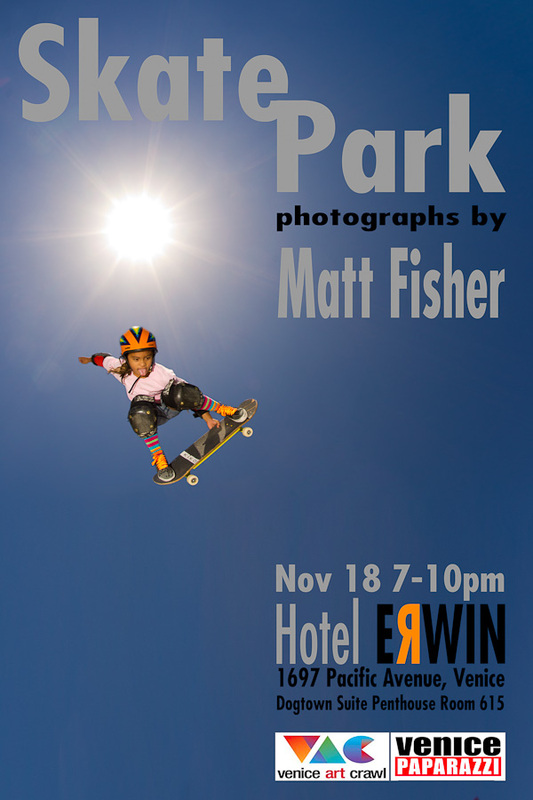 Amongst the many pieces of amazing art you will witness through out; from paintings, sculptures, photography and more, you need to head to the Hotel Erwin and check out one of our very own photographers’ exhibit: Skate Park Photography by Matt Fisher. Not only is Fisher a gifted photographer capturing the essence of some of the most exciting music festivals to hit Los Angeles and beyond (FYF, Audiotistic, Sunset Strip Music Festival, etc. ), but he also has quite the artistic eye when it comes to skateboarding photography. Known through out the Venice skateboarding community as the “cool dude always snapping photos” at the barely one-year-old beauty that is the Venice Skate Park, Fisher has captured some great moments that depict the spirit of Venice Beach. Check them out for yourself this Thursday at the Hotel Erwin (or take a sneak peek in the photo gallery below). 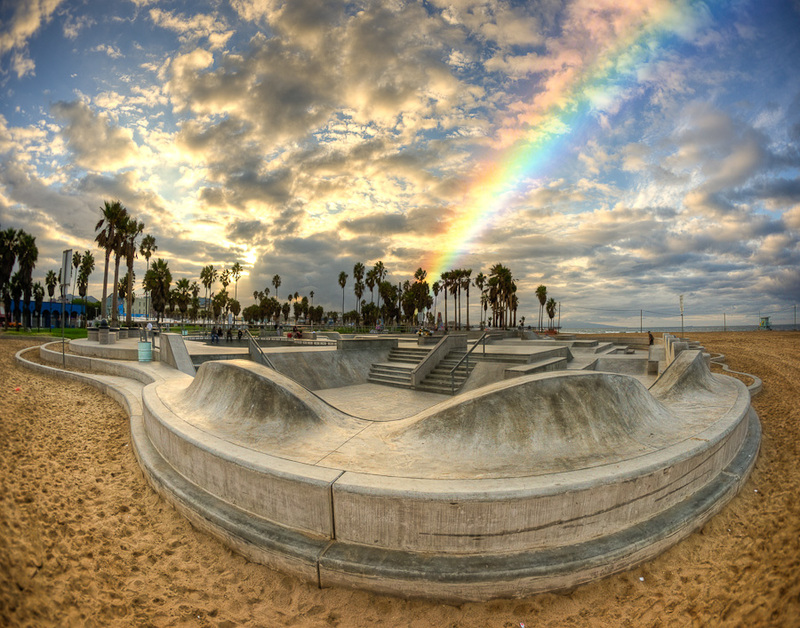 This entry was posted in Uncategorized and tagged Art, art show, matt fisher, Skateboarding, venice, venice beach, venice beach skatepark, venice skate park on November 17, 2010 by Sandra Burciaga Olinger.